Worlds biggest fan – WhatZupBristol! Secret Cinema are back, with a real Bond-ing experience. On the big screen for this experience is Casino Royale, Daniel Craig’s first foray into the high-stakes world of espionage. Being Secret Cinema, though, what happens on the ground is just as important as what happens on the screen. As eager volunteers, you’ll be On Her Majesty’s Secret Service as part of ‘Operation Wild Card’, ready to serve queen and country. Given a briefing that’s For Your Eyes Only, you’ll join either Q Branch or M Branch, and be given an alias, dress code, and character suggestions. 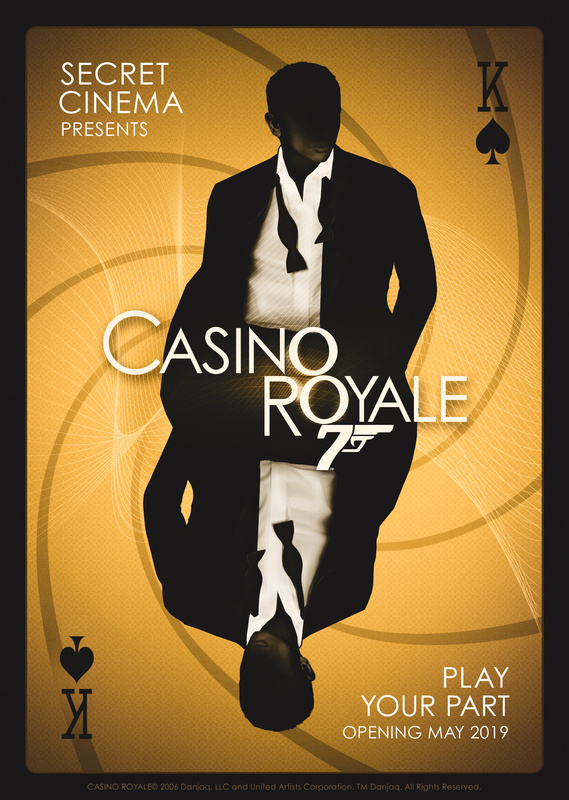 With an audience of 1500 taking part each night, Casino Royale makes for Secret Cinema’s largest indoor event yet. A secret London location will undergo a similar transformation, becoming the thrilling playground of spies, rogue agents, and femme fatales. Naturally, you’ll need to blend in – after all, it determines whether you Die Another Day or get A View To A Kill (your own). Because The World Is Not Enough, actors, live music, and artists will bring the experience to life, adding further intrigue to this unforgettable cinematic experience. For more information, including ticket info, check out their website. The post Go Undercover This Summer At Secret Cinema’s Bond-Themed Experience appeared first on Secret London. Next PostNext who else thinks Brizzle is a amazing place to Explore?